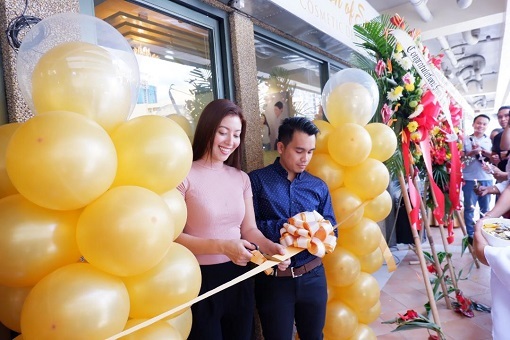 Creation of Smiles Cosmetic Dentistry has recently open its Cebu City located at 2J, Pacific Square, F. Cabahug St., Mabolo. Creation of Smiles lead by Dr. Frank Vicoy, DDM is more eager to welcome customers to their new abode with their Dental services. Dr. Frank Vicoy (right) with Blinky de Leon during the Grand Opening. Creation of Smiles Cosmetic Dentistry advocates natural transformation as possible with utmost attention to detail, shading, anatomy and balance in their clients profile. Creation of Smiles Cosmetic Dentistry services includes General Dentistry, Orthodontics (Braces), Complete Care, Preventive Dentistry (dental health), Cosmetic Dentistry (Latest Advance approach including Ceramic Veneers), Restorative Dentistry (tooth color restoration), Dental whitening and Crowns-Bridges-Dentures (preserving teeth). Visit Creation of Smiles Cosmetic Dentistry at 2J, Pacific Square, F. Cabahug St., Mabolo or call them at 09173012017 or 09328895059 for details. 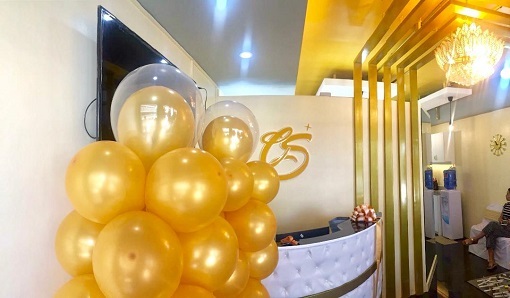 They are also on Facebook at "Smiles Creation by Dr. Frank"
0 comments: on "Creation of Smiles Cosmetic Dentistry Cebu now Open"